I’ve had the opportunity to stay at a few hotels in my hometown of Chicago. Some were to spend time with out of town friends and some were the best wedding hotel block of hotels near McCormick Place. 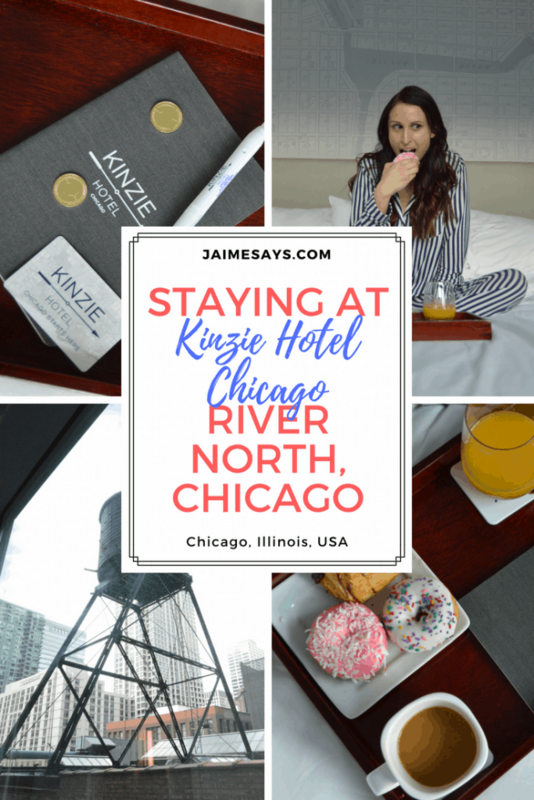 Recently though, I had the privilege of staying at the Kinzie Hotel Chicago for a night alone to get some work done. Eddie and I share a very tiny city apartment. He works at home every night, and I work on my blog just about every night as well. Sometimes, it gets cramped in there. I decided a weekday night in River North would be a good way to catch up on emails and check out the hotel. Eclectic artwork greets you in the lobby of the Kinzie Hotel Chicago. photo c/o Kinzie Hotel. I drove to the Kinzie Hotel Chicago after work. While battling rush hour traffic in Chicago is something I try to avoid at all costs, it was not too bad on a Tuesday evening in April. I pulled my car up to the valet stand and was instantly greeted by a friendly gentleman offering to unload my car while the valet was called. Overnight parking in the city of Chicago is not cheap. 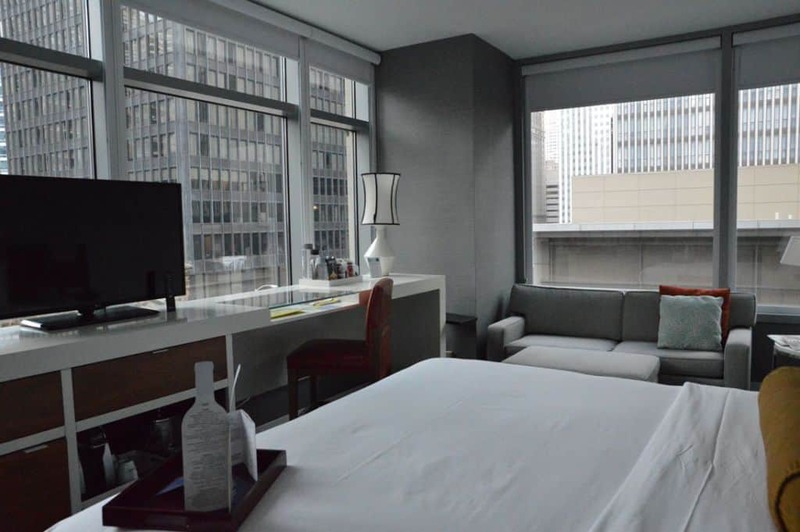 To valet at the Kinzie Hotel Chicago, it is $64 per night, with full in and out privileges. I would imagine it is particularly worth the expense in unpleasant weather. The breakfast spread found on each floor of the Kinzie Hotel Chicago. 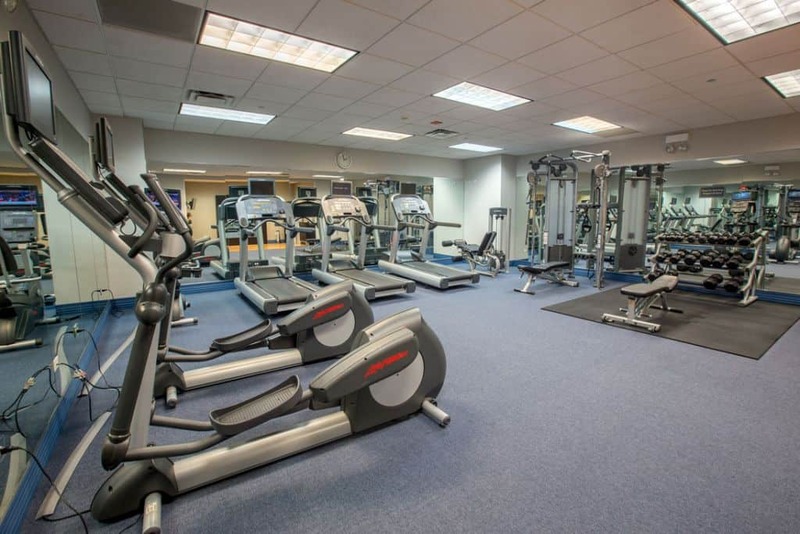 The Fitness Room at Kinzie Hotel Chicago. 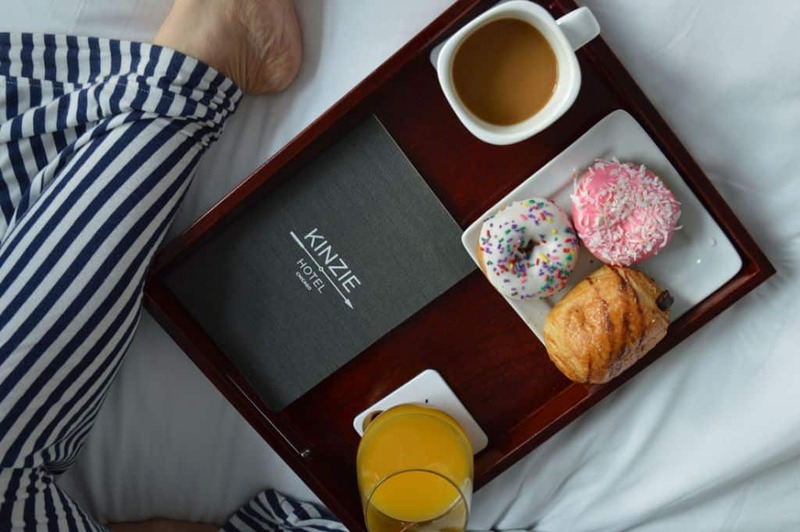 The Kinzie Hotel Chicago is an independent hotel, so you won’t find the place overrun with consultants collecting rewards points. 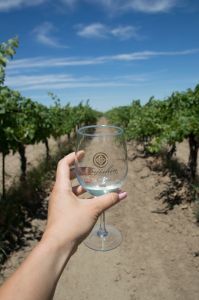 It’s a good mix of business travelers, family travelers, and vacationers. The lobby area is airy and modern. 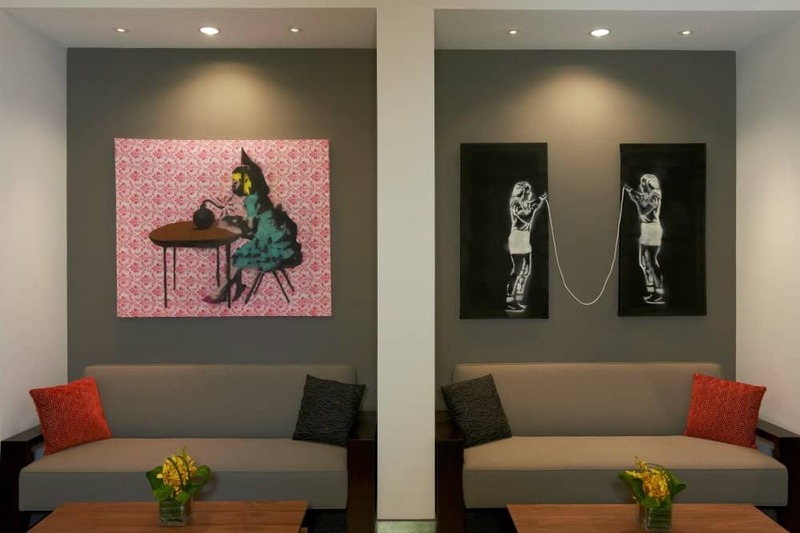 Interesting art hangs on the walls while funky seating is available in the lobby.. There were three other groups of people checking in ahead of me. Luckily, I didn’t wait for more than a few minutes before it was my turn. The gentleman checking me in was friendly and helpful. 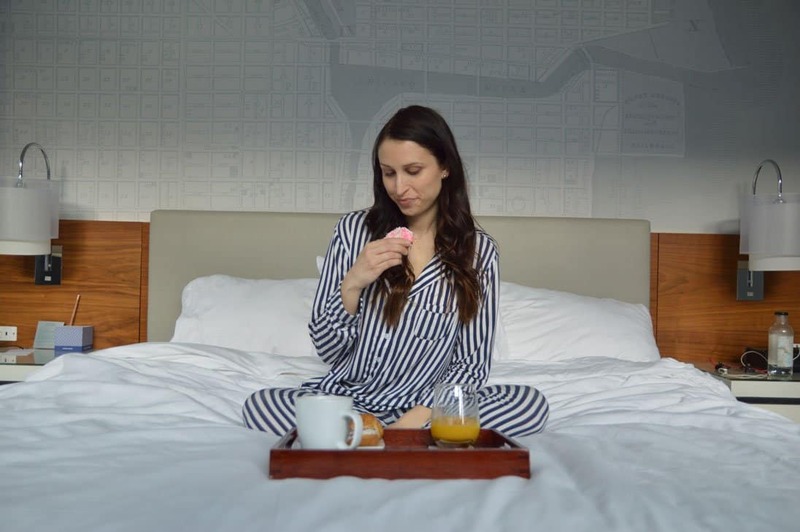 All guests, upon check-in, receive a Kinzie Hotel Chicago token. This token is good for one drink at the nightly happy hour. 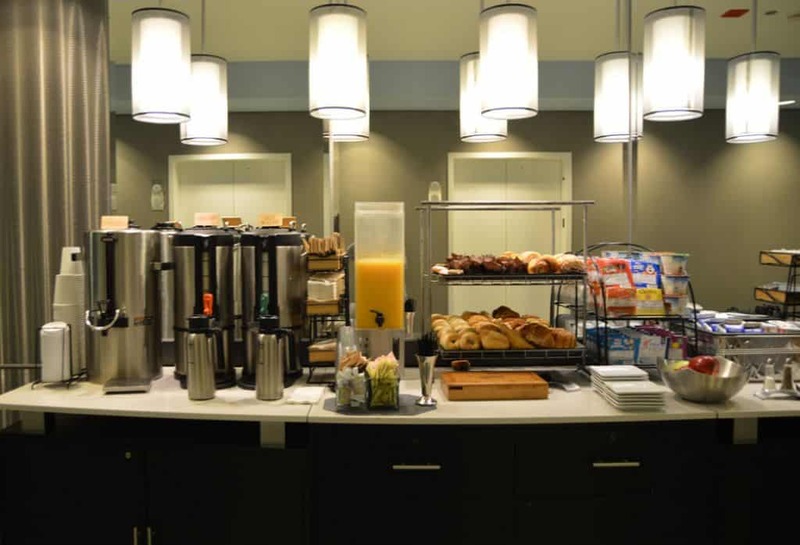 At check-in I also learned about the 6:30AM-9:30AM daily continental breakfast found on each floor. 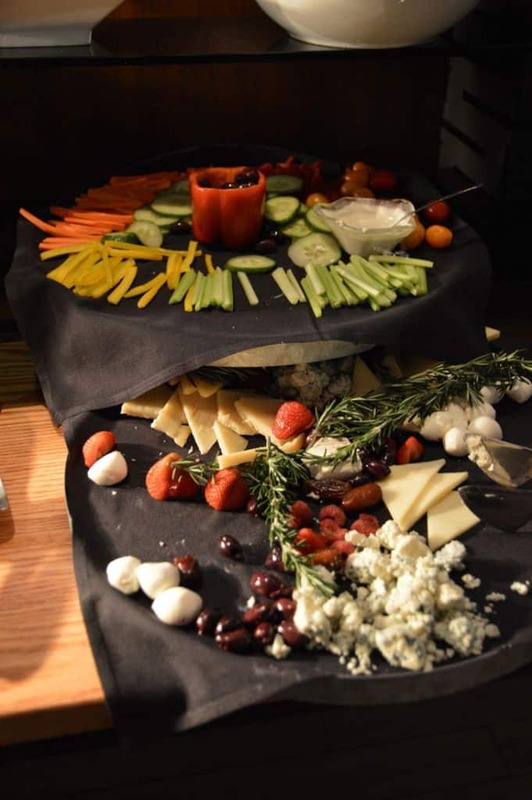 Located right near the elevator banks, a serving tray is provided in each room so that guests can collect what they want. 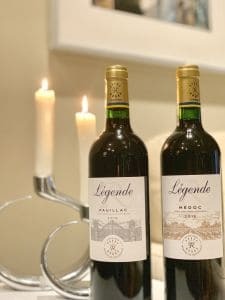 I particularly liked this as I was able to grab a few things and eat it back in the room as I got ready for the morning. 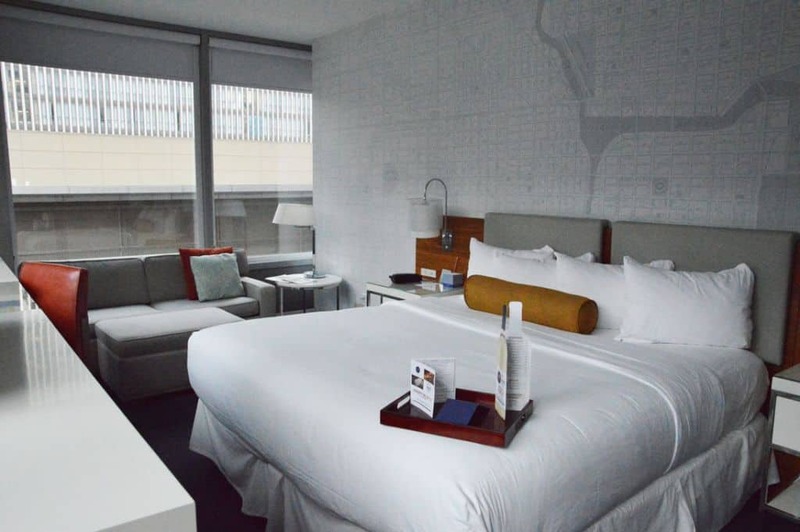 Walking into my room at the Kinzie Hotel Chicago was like unwrapping a present. The first steps into the room were down a long foyer. 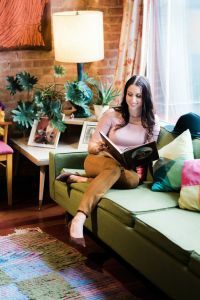 With a quick right turn, the room opened up into a bright, spacious, and modern abode, just four floors up from a bustling River North corner. The bathroom is the first thing that you come upon, and for a hotel, it is pretty spacious. There was plenty of room on the counter for my hair tools, a makeup mirror, and all of my toiletries. Luckily, the Kinzie Hotel Chicago considered design and practicality in the bathroom arrangement. It’s no surprise that the most important part of any hotel room is the bed. Let me tell you: the bed at the Kinzie Hotel Chicago is nice. Envelops-you-as-if-you-are-sleeping-in-an-urban-cloud kind of nice. The mattress tended toward the firmer side, and the duvet cover was fluffy but not too warm. The Kinzie Hotel Chicago knows that if you’re visiting Chicago, you are not going to spend much time watching television. You might be in a conference, you might be visiting museums with Chicago CityPASS, or you might be visiting the most instagrammable River North Chicago bars. As such, they offer an array of in-room planners and magazines from which you can plan your time. You can even use your Kinzie Hotel Chicago room key to get a 20% discount next door at Public House. 20 W. Kinzie is a happening part of the city, but sometimes, you just have to hunker down and work. If you are staying at the Kinzie Hotel Chicago and find yourself neck deep in emails, do not fear. You can enjoy some social interactions without leaving the hotel. 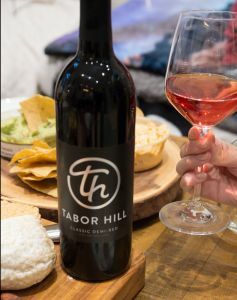 Everyday from 5PM-8PM, there is a happy hour reception on the eighth floor. Here there are snacks galore, a bar, and plenty of other hotel guests with whom to interact. I used my Kinzie Hotel Chicago token to get a glass of merlot along with a plate of crudité. 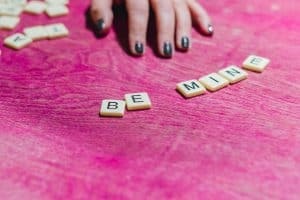 I made small talk with a woman from California and headed back to my room with the intention of finishing a blog post. 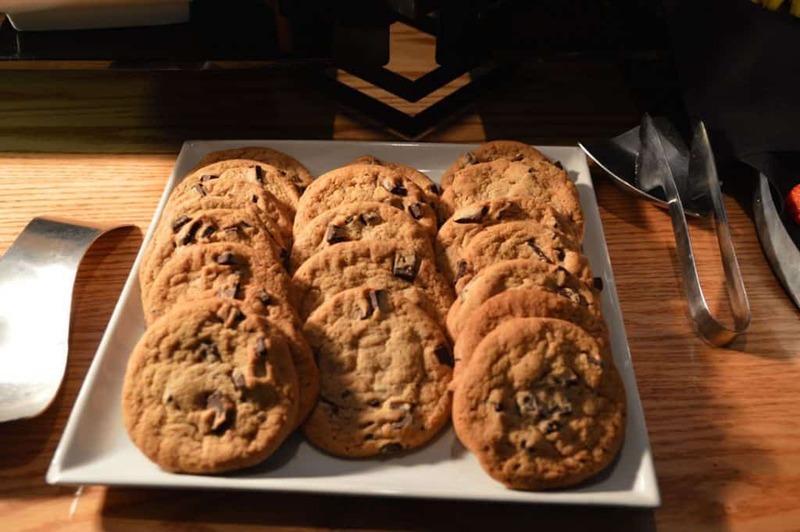 Happy Hour Cookies for those of you who have self control. My evening of work at the Kinzie Hotel Chicago was short lived as I was exhausted after a day of work. I pulled out my computer, but was too tired to get much done. I have a habit of sleeping in the middle of king size beds when I am alone; this time was no different. I pulled down all of the window shades, turned Bedtime Beats – The Secret To Sleep on the clock radio, and drifted off. After a lovely sleep, in the morning I loaded up on coffee and breakfast. While I took protein snacks, I also grabbed some treats in which I usually don’t indulge. Many thanks to Kinize Hotel Chicago for hosting my stay. As always, all opinions are my own.